Catalog Page 58. Eye Glasses, Sunglasses and Backpacks for teddy bears. 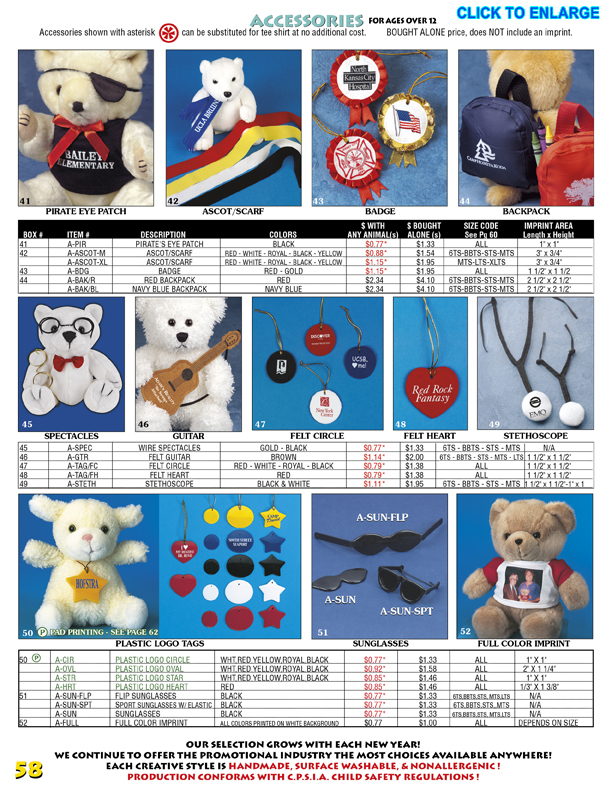 Catalog Page 58 - Accessories for teddy bears include a guitar, eye glasses, sunglasses, logo tags, pirate eye patch, scarves, badges and backpacks. The red price indicated the price when you purchase with a stuffed animal. Many of our accessories can be printed with your logo or slogan. The minimum order for printed accessories is 24 pieces.